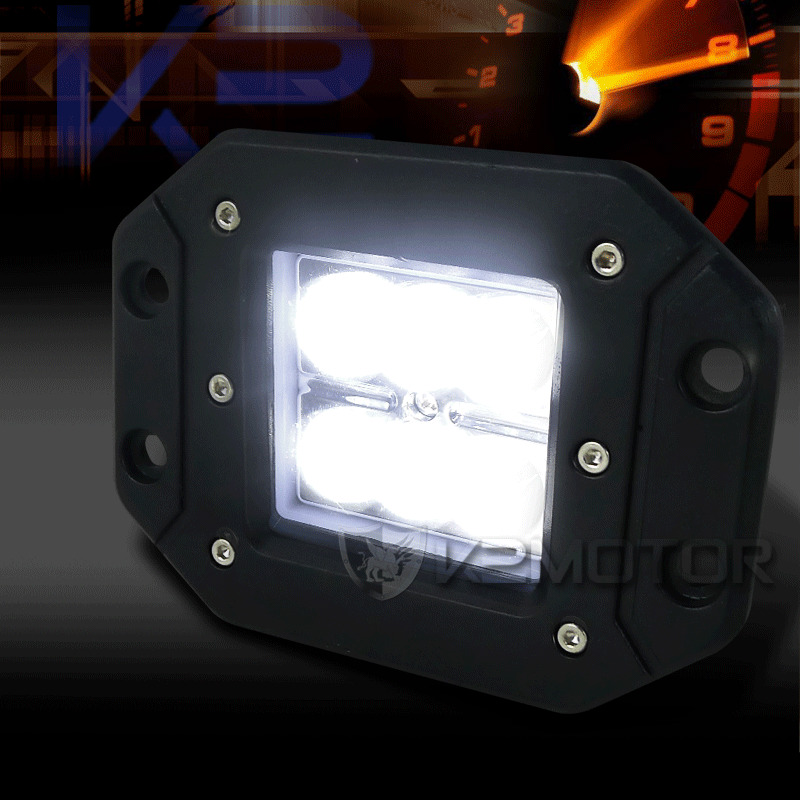 Brand New Universal 6 LED Flush Mount Work Fog Lamps - Cube Cree Spot! These fog lights are designed for trucks, SUVs, Jeeps, RVs, or even pick up trucks for work or traveling purposes. These fog lights are Super bright and illuminates really dark areas especially if you are traveling through woods or the mountains. This is a complete kit and comes with all necessary hardware for installation.